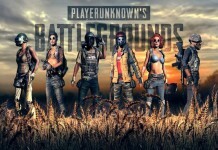 Tencent Games has finally released the much awaited 0.9.0 update for PUBG Mobile. The new update is available for users globally and in India. PUBG Mobile 0.9.0 is the next big update after 0.8.0 which brought Sanhok map to the game. PUBG Mobile servers were taken down on 24th October from 1:00 a.m. to 4:00 a.m. for maintenance purpose. Users on Android and iOS platforms can start downloading the latest 0.9.0 update on google playstore and App store respectively. If you haven’t received a notification you can download it manually. The new update is sized 608MB. After the update is downloaded, there will be another in-game update of 11MB. PUBG Mobile is also rolling out downloads separately. Miramar map and Sanhok map updates can be downloaded separately. New features coming to PUBG Mobile 0.9.0 include night mode in Erangel map. Night mode will be turned on randomly in-game. In celebration of Halloween, PUBG Mobile will also get a new Halloween theme on Spawn island. The island will be filled with candies and pumpkins. There’s additionally a new ‘Candy’ event and a Halloween theme for the main menu. Sanhok map gets the QBU DMR and the Rony pickup truck. PUBG Mobile has also added a new “Share for Deals” feature where your friends can help you bargain for items. With this update ‘Crew Challenge’ is now open, and crews are limited to six players. PUBG Mobile hasn’t released the full patch notes for 0.9.0 as yet, but they were leaked online prior to the update. Here’s what else is coming to PUBG Mobile. PUBG Mobile is adding a new movie picture style which will be applied to all maps once selected. In addition to night mode, Erangel map will also get new materials like buildings, covers next to rivers, and trees. The Halloween theme will also bring changes like people becoming scarecrows when killed by the Hellfire AKM rifle, and a spooky face appearing whenever a grenade explodes. The new update is also expected to improve driver and passenger views along with better recoil recovery and stability in guns. 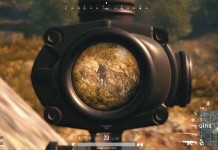 In terms of performance, PUBG Mobile 0.9.0 will also reduce lagging issues in the game. 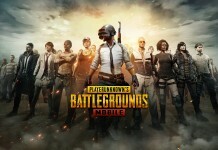 Do Download the new PUBG Mobile Update and tell us what you think about it.